What Is Facebook EdgeRank And How Does It Affect Bloggers? EdgeRank is simply Facebook’s algorithm (calculation) that regulates which updates and content is displayed in user’s news feeds. EdgeRank is a determining factor in when and how much of your content is shown, as well as where it is shown among other content. Let’s break it down like this: Edge is the content, e.g. photos, videos, and status updates. The “Rank” indicates when and where these “Edges” will be shown in Facebook’s content stream. Update: The term “EdgeRank” is no longer correct but the principles are the same. Is Facebook Is Driving Away Brands? Many users have the misconception that 100% of their posts will be seen by those that âlikeâ their pages if they’re online when the updates are posted, much like Twitter. This isn’t true; Facebook uses an algorithm, much like that of Google. And with Facebook’s recent updates, most pages, if not all, have a recent net loss of organic and viral reach. Some users think this is Facebook’s way of squeezing more revenue from its users. Facebook denies this, and like Google, says it’s all an effort to improve the user’s experience. Mark Cuban, owner of the Dallas Mavericks, says he’ll take his team, and 70+ other businesses he invests, to MySpace. Factors that influence EdgeRank can be hard to predict. We know the three major factors are affinity, weight and decay. Affinity is basically the relationship you have with those interacting with your Facebook Page. Those that like, comment and share are more likely to be shown content you post in their news streams. Someone that never interacts with your updates may never see another one! Weight is the measure of your posts. Wordtracker recommends we post a variety of update types and we do so often, due to decay. Decay is simply the short lifespan of the content. Engagement And Interaction: The first thing every business page should do is build engagement and participation with Facebook fans. This isn’t just something we say, it’s now more imperative than ever. By engagement, I’m referring to comments, shares and likes. We need to engage fans in a way that encourages interaction. The more interaction, the more content those that have interacted will see in their news feeds. Your Facebook Business Landing Page: When we’re talking EdgeRank, we’re referring to your content that is shown to users in their news feeds (home page). Whenever someone visits your Facebook Business page, they still see everything you posted, assuming your privacy settings allow it. One solution is to get people to visit your Facebook page, plain and simple. Once they are there, you should encourage interaction to boost your EdgeRank. Images And Videos: Like I mentioned earlier, Facebook’s algorithm is tough to predict but, according to EdgeRank Checker, images are a good choice; they say, “Photos are still the best overall strategy“. So it looks like we’re still better off working on a heavy video and photo strategy for Facebook page updates. Promoted Posts: Facebook is a business and, like any business, they’re in it for profit. There’s nothing wrong with that and even though they say different, most of us believe that’s the reason for the sudden and, like Mitch mentioned in the video below, unannounced changes. So we still have the option to pay Facebook for reach. Last month Faissal Alhaithami put together a nice guide to follow when going this route: Facebook promoted posts: A complete guide – Sorry, FansBridge is no more. With that said, we need to think about our goals before investing too much money into Facebook reach. Just a few days ago, Kim Castleberry posted a video on her blog saying (paraphrasing), it only makes sense to pay for promoted posts if we ultimately expect to see a profit from it. There’s nothing new in the lesson learned here; we’ve seen it over and over. We should NEVER put all our eggs into one basket, especially one we have no control over. There are businesses out there where Facebook is their primary online presence; in some cases, their only online presence. That’s a huge mistake, in my opinion. It was the same with virtually every social site since MySpace. We should take advantage of the tools at our disposal but we should not depend on third party sites, not even Google, for our livelihood. Have you seen a drastic decline in Facebook reach? What are you doing to compensate. Anything I missed? I’d love to see your comments. 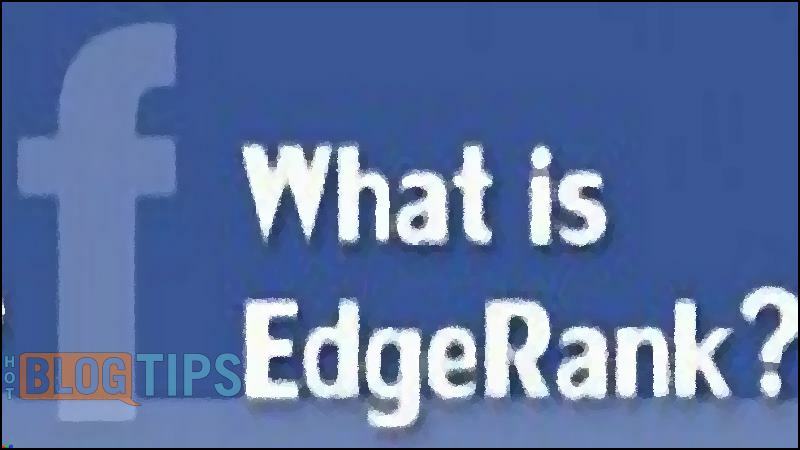 Watch on YouTube: What Exactly Is EdgeRank?